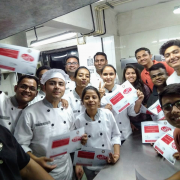 “FabChef – South” a culinary workshop was organized by Jindal School of Hotel Management (JSHM). This Cookery workshop was open for outsiders and students of JSHM. The workshop was ideal for those who wanted to master the art of Dakshin delicacies. The participants got to learn six South Indian snacks along with their classical accompaniments. The chefs Mr Paul & Mr Nattar hail from the southern part on India. Because of this, the class got to learn the authentic way to prepare these items. The participants to got their hand dirty by patting the Kal Adas, dabbing the Oats Idly mix and dipping into the batter of Mysore Bonda. It took many trials and errors for all to perfect the art of pouring Appams. It turned out to be a fun workshop. Everyone went away with a few finger-licking good recipes in their kitty! 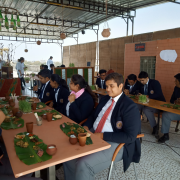 Third-year students of BBA in Hotel & Tourism Management took up the challenge of creating a commercial pop-up sustainable restaurant for one day. The event was a part of their Gastronomy Course assessment. The pop-up restaurant was a sellout and an enthralling Culinary experience for all the customers. 2. Wow factor: The decor was traditional and eco-friendly. Homegrown microgreens, earthenware, reusable dry flower arrangements and local linen made the decor truly green without compromising on the rich look & feel. 3. Saving Electricity: The event was lunch in the open terrace. The venue for this sustainable restaurant was tactfully chosen for its natural light & breeze. 4. Attractive Pricing: The entry fee of Rs.200/- made the meals affordable to all. Because of this smart pricing ensured that the pop-up restaurant was a sell-out. The price was all-inclusive for the unlimited meal. 5. The U.S.P: Natural leaf plate and clay glassware gave a unique flavour to the food items. Even the water from the eco wash was reused to water plants. The guests experienced eating with hand. This resulted in the saving of water. With such responsible students, the future of our planet is in good hands! 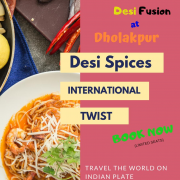 Dholakpur – A Case study on how to do a successful Pop-up Restaurant! Third-year students of BBA in Hotel & Tourism Management took up the challenge of creating a commercial pop-up restaurant for one day. The event was a part of their Gastronomy Course assessment. 2. Wow factor: The decor was traditional. Low seating, traditional welcome, clay vessels and mud art added variety to the ambience. Gujarati Bandhani & Patola sarees added that extra colour and spark to the overall set up. 3. Entertainment: Live light music and dholak by the students of Tabala section of MS university added to the evening’s attraction. 4. Attractive Pricing: The entry fee of Rs.500/- made the meals affordable to all. Because of this smart pricing ensured that the pop-up restaurant was a sell-out. Separately priced mocktail menu added to the income stream. 5. The U.S.P: The dessert was aptly named “Chitrakala”. This item was a live food art by the budding chefs of JSHM. The dish consisted of finely balanced 12 items which provided the perfect finish to the meals. 6. Team Spirit: No event can be successful without teamwork. Besides the obvious camaraderie, enthusiasm was in abundance as well in the students of JSHM. With so much thought and effort gone into the pop-up, the event had to be a success! 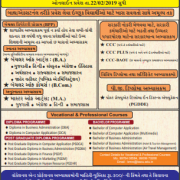 https://jshm.co.in/wp-content/uploads/2019/02/dholakpur-poster.png 1280 905 JSHM https://jshm.co.in/wp-content/uploads/2018/08/JINDAL-LOGO.svg JSHM2019-02-25 12:02:042019-02-25 12:02:04Dholakpur - A Case study on how to do a successful Pop-up Restaurant! આગામી ફેબ્રુઆરી-૨૦૧૯ સત્રની પ્રથમ વર્ષ તથા પ્રમોટી વિદ્યાર્થીઓની પ્રવેશ પ્રક્રિયા આજથી(તા.૦૧/૦૧/૨૦૧૯) શરુ થઇ ગયેલ છે. 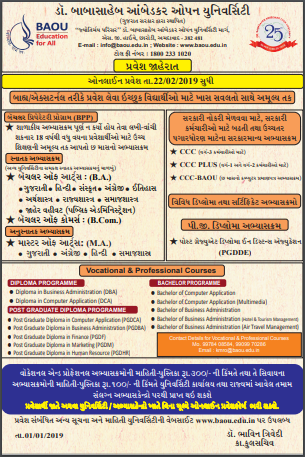 જેની વિગતવાર જાહેરાત આજના સંદેશ અને દિવ્ય ભાસ્કર વર્તમાન પત્રમાં આવેલ છે. The students of Jindal School of Hotel Management are shining in their Industrial expose Training in 2018. Some of their success stories have reached us and the same is shared to inspire all to keep aiming high. It is students like these who keep reminding us that we are on the right track to becoming the best hotel management college in India! 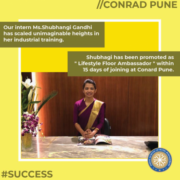 Shubhangi has managed what no other Industrial trainee has ever done: A promotion as “Lifestyle Floor Ambassador” within 15 days of joining Conard, Pune. Junaid was awarded the “Intern of the Month –Nov 2018” in the Food & Beverage Service department at the Novotel Mumbai Juhu Beach. Congratulations to Junaid. We are sure that he has a great future in his chosen department of F&B Service. 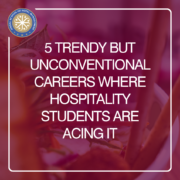 Diploma or full-time degree in Hotel Management is purposefully offered to create a pool of eligible and efficient graduates who can handle several key departments in a hotel or hospitality industry. The courses are designed in such a way that the candidates get familiarized with banquets & catering, food hygiene, beverage & bar operations, rooms division, and customer services. Hospitality management degree includes class work along with real-life hospitality skills through practical works. Basic admissibility condition for having admission in the hospitality management courses is a graduation degree in any stream or equivalent qualification for the master’s degree in hotel management. 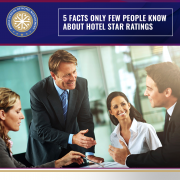 And if you are trying for diploma in hotel management, it requires you to have passed 10+2 or equivalent from a recognized college. Congratulations – Rinki Ahuja ! Yet another trainee from Jindal School of Hotel Management makes us proud! Congratulations to Rinki Ahuja for the special appreciation received during her internship. 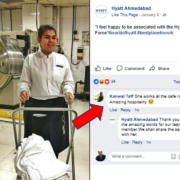 Rinki got a special mention on the Facebook page of Hyatt Ahmedabad. Instant appreciations poured in from the guests of Hyatt to her Facebook post. It’s obvious that Ms. Ahuja impressed one and all through her hospitality. The JSHM family is proud of Riki’s achievement. We are aware that such appreciations are generally received by the staff and not by the trainees. Ms. Ahuja’s charming personality and the engaging service does force people to make an exception for her. 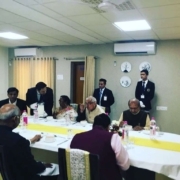 https://jshm.co.in/wp-content/uploads/2018/01/rinki-ahuja_guest-appreciation.png 720 960 JSHM https://jshm.co.in/wp-content/uploads/2018/08/JINDAL-LOGO.svg JSHM2018-01-23 18:40:272018-12-31 15:35:29Congratulations - Rinki Ahuja !